Sneering, fast-talking, and a flash smiler, Dennis Hopper cut an unforgettable figure in movies. He always played a 'good' bad guy, snarling with those manic eyes and a voice teetering on desperation, he was often mezmerizing on the big screen. He died Saturday in Los Angeles at 74. Official cause of death was listed as prostate cancer. It had been quite a while since we last heard any news from Mr. A.B. Quintanilla III. But now the 411 details include the release of his new video single "Hipnotika." Aahhh! Great PR strategy - right? Anyway, Quintanilla, love him or hate him - he's ever the sharp promotions man - has in response, released a "clean" version of the video, which debuted Friday on AOL Latino. Smart strategy. "Hipnotika" is the first single from his new album, LA VIDA DE UN GENIO, which will be released on July 27 on Capitol Latin. 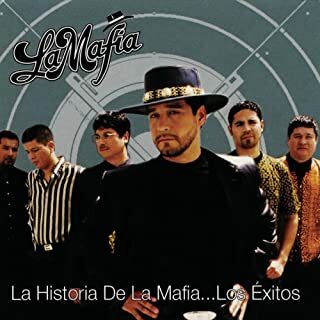 La Mafia 30th Anniversary is just around the corner and they have chosen the Alamo City as the site for their big shebang on Sunday, May 23. The Kennedy dynasty is one of the best known in American poltical history. Now the Kennedy family gets a loving musical tribute by the Boston Pops titled "The Dream Lives On: A Portrait of the Kennedy Brothers." The piece, commissioned to pay tribute to the Kennedy legacy, featured some big names. The piece was modeled on Aaron Copeland's Lincoln Portrait. The piece features all of the words, part of the immortal legacy of the Kennedy family, whose influence in American political history is hard to measure. Big names in music circles will brush up against some of the new upcoming faces at the 2010 Tejano Conjunto Festival scheduled May 11-15. Among the top dogs expected at the festival, are Los Dos Gilbertos, Bernardo y sus Compadres, Joel Guzman, and Flaco Jiménez. The festival is scheduled to unfold at the Guadalupe Theater and at Rosedale Park.